​Highly rated Tottenham Hotspur striker Troy Parrott has committed his future to the club by signing his first professional contract. The Irish youth international marked his 17th birthday by penning a deal with Spurs after being involved with the Mauricio Pochettino's first team squad in recent weeks. Parrott announced his new deal on Twitter on Monday: "Birthday boy, the best gift I could of asked for, delighted to sign my first professional contract Spurs, proud moment for me and my family." Amid ​Spurs' injury crisis this month with key players like ​Harry Kane and ​​Dele Alli sidelined for another month, Parrott has been travelling with the squad to games as a reserve, should someone fall ill or get injured on matchday. ​Vincent Janssen has recently returned to the fold due to injuries but it is believed that this will not block Parrott's path to the first team after an impressive first half of the season at youth level, scoring 14 goals in 21 games. ​Nottingham Forest manager Martin O'Neill tipped Parrott to be a full international in the near future during his time as Ireland boss. "Pat Jennings [O'Neill's former Northern Ireland team-mate] was telling me Troy does come up occasionally and train with the first team and they've all been pretty impressed with his attitude," O'Neill told ​RTE Sport five months ago. "If someone 16, 17, 18 years of age, who you feel is absolutely ready and is good enough and if your choices are limited, and he's making great progress, I would see no problem in [calling him up]." Spurs' early exit from the FA Cup will limit Parrott's chances of first team action before the end of the season but Tottenham's options up front are already wearing thin as they prepare for the return of Champions League football this month. 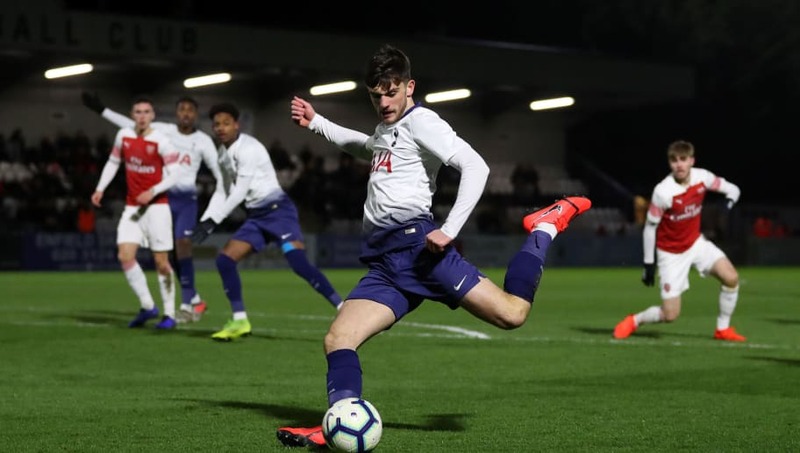 Pochettino's men face ​Leicester City this weekend before ​Borussia Dortmund travel to Wembley for the first leg of the last 16 tie next week, while Parrott is expected to line up at the academy for their UEFA Youth League match with Greek side PAOK.